avail this benefit? This post is going to discuss all these features about LTA / LTC in detail. What is Leave Travel Concession (LTC)/ Leave Travel Allowance (LTA)? Only Fare allowed; boarding, lodging, sight-seeing or any other kind of expenses are not allowed. Even charges of local taxi hired for sight-seeing are not allowed. Travel by Air -> Economy class fare of National Carrier (i.e., Air India) by shortest route. Travel by Train -> AC 1st Class Rail fare by shortest route. Travel by ‘any other mode’ (though rail facility available) -> AC 1st Class Rail fare by shortest route. Travel by ‘any other mode’ because no ‘Public Transport’ exist -> AC 1st Class Rail fare by shortest route (as if the journey is performed by rail). ‘Any Other Mode’ includes journey by Bus, Taxi or a Ship. The point worth noting is the ‘shortest route’. What if you went to several places situated in different directions such as Delhi –Mumbai—Bangalore—Hyderabad—Delhi? In this particular case the farthest point from Delhi is Bangalore, so you will be allowed only return fare between Delhi and Bangalore. However, the amount of exemption can’t exceed the actual amount spent on fare subject to the maximum entitlement of the employee. If your LTA / LTC entitlement as per company salary rules or as part of your CTC is higher than the amount spent by you or the maximum amount allowed as per the rules then the excess amount drawn by you will be taxable. Place of Travel: Travel within India allowed. Overseas travel not allowed. Mode of Transport: It includes journey by air, rail, ship, bus or taxi. Persons Eligible to Travel: You actually perform the journey either individually or along with your family. Family includes your spouse, 2 children (no restriction on number of children born before October 1, 1998) and dependent parents, brothers and sisters. But remember that your family can’t make the trip without you. No. of Journeys: 2 journeys within a block of 4 years allowed. The current applicable block is 2010-13. Note that the applicable year is calendar year and not financial year. In other words, the current block period started on January 1, 2010 and will end on December 31, 2013. For example, if you travelled during the month of November 2009, it falls in the block of 2006-09. But if you travelled in the month of January 2010 to March 2010, it falls in current block (2010-2013) though financial year in both the cases remains the same i.e., 2009-2010.
a) Only one journey is allowed for carry over concession. b) It has to be availed within the first calendar year of the next block. Suppose that in the previous block of 2006-09, you undertook only one journey. Now, you’ll be allowed to carry one journey forward to current block of 2010-13 – without affecting your entitlement of 2 journeys’s during the current block – but you would have to avail the carry forward journey within the calendar year 2010. Put simply, you’ll be entitled for 3 journeys in the current block of 2010-2013; however, out of the 3, you’ll have to undertake at least one journey within 2010. Otherwise, the carry over will lapse and you would be left with only 2 entitlements instead of 3. There is no prescribed form to submit to your employer or along with the income tax return. To claim the exemption you’ve to submit proof of travel. Though in a last year judgment Supreme Court exempted the employers from collecting travel bills to allow LTA/LTC exemption to employees while calculating TDS on salaries; however, most employers still demand it. Even if your employer allows you exemption based solely on the declaration filed by you, you still need to have all the documentary evidence supporting the travel claim which can be demanded by the assessing officer. Furthermore, it is needless to mention that you should be on leave during the period of journey. Finally, tax laws do not bar you from claiming LTC every year; rather tax exemption is allowed only for 2 journeys in a block of 4 years. And at your option you can even make both the journeys in a single year instead of spreading over 4 years. 1. Can I claim LTA every year? Definitely yes, provided your company rules allow it and you’re ready to pay tax on it. 2. Can I claim two journeys in one year? Yes, this is also possible. There is no restriction on undertaking both your entitled journey’s in one year itself. 3. Can I encash LTC amount before undertaking the journey? Yes, if your company rules allow; it becomes taxable if you don’t undertake the journey. 4. Can I receive LTA without undertaking the journey? Yes, you can if it is part of your CTC—subject to the policy of your company in this regard, but the amount becomes taxable. 5. Can I undertake journey to my hometown to claim LTA? Yes, there is no restriction on travel to hometown. 6. What is the minimum number of days leave required? You’re asking a wrong question; the right question is: what is the minimum duration of travel to claim LTA? 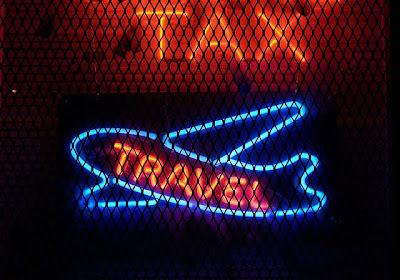 Under tax rules, there is no limit on the minimum or the maximum number of days of travel to claim LTA. 7. Is travel to foreign country allowed for claiming LTA exemption from tax? 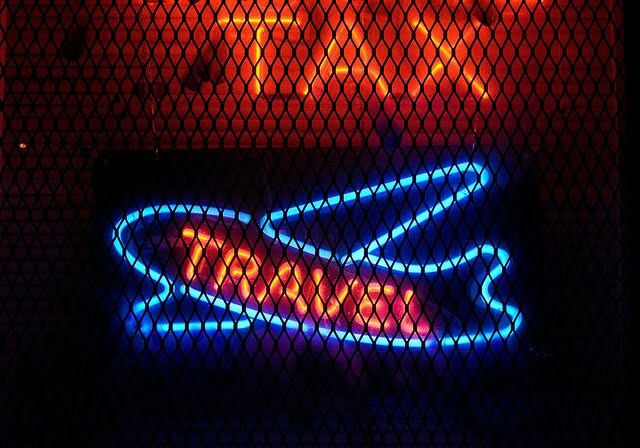 No, under tax rules, you can undertake travel within India; foreign travel is not allowed. 8. Can both working spouses claim separate tax exemption for LTA from their respective employers? Yes, but for separate journeys. 9. Is there any limit to the maximum amount of LTA which can be claimed as tax exempt? A fixed maximum amount has not been specified under tax rules. The maximum travel fare you can claim exempt under tax laws depends upon your mode of journey as already specified above. 10. If I draw LTA on alternate years, does my two year entitlement gets added for the purpose of claiming tax exemption? Yes, certainly; for example, if your LTA entitlement for a year is say Rs 20,000 and if you don’t avail it in the first year, it gets carried forward to next year. Now in second year if you undertake a journey you can claim the entire amount of Rs 40,000 as tax exempt subject to the actual amount spent and the maximum specified as per tax rules. 11. Whether our Parents can also accompany us during travel? Yes, they can but tax exemption on their travel tickets can be claimed only if they’re dependent upon you. 12. If I make a ‘round trip’ (say Delhi—Mumbai—Bangalore—Kolkata—Delhi) by rail, can we consider the air fare of ‘shortest route’ for the purpose of calculating maximum entitlement? No, it is not possible; in such a case the maximum LTA you can claim as exempt is limited to the AC 1st Class rail fare (and not Air fare) between Delhi (the place of origin) and Bangalore (the farthest point). 13. What if my journey falls in two different calendar years? No problem! First, the financial year will always remain the same even if the period of journey falls in two different calendar years. Second, it hardly matters so long as both the calendar years falls in same the block period; in case of change of block period you should consider it journey for the block period in which you begin the journey. 14. What is meant by ‘National Carrier’? 15. Does it mean that I cannot travel by a Private Airline? No, it doesn’t mean that you have to compulsory travel by Air India…you can travel by any airline of your own choice, but for the purpose of calculating the maximum fare you can claim, the fare of ‘Air India’ for the shortest route will be considered. Suppose your air journey from Delhi to Bangalore via Pune was by Jet Airways Business Class…so in this case you can maximum claim an amount equal to fare of ‘Air India’ economy class direct flight from Delhi to Bangalore. 16. Does it mean that my employer can’t reimburse the amount of LTA which is in excess of the tax rules? Your employer can reimburse you the entire amount spent by you on travel including boarding and lodging based on your entitlement as per the LTA reimbursement policy of the company, but for tax purposes the excess amount will become taxable. 17. I have submitted the air ticket / bill of travel agent but my employer is insisting on ‘Boarding Pass’? In case of air travel, the proof of travel is boarding pass and not air tickets. 18. Can I travel by taxi? If yes, can I claim the entire taxi fare? Yes, you can hire any vehicle including a taxi. The entire taxi fare can be claimed subject to the maximum exemption limit as specified above. 19. How can my company insist on travel proof despite the decision of Supreme Court? There is a difference between right and the obligation; it is no longer mandatory for employers to collect travel bills from employees to allow the tax benefit, but to satisfy themselves about the genuineness of the claim, company can still demand the documentary proof of journey depending upon its policy in this regard. Moreover, the Supreme Court ruling has only shifted the onus of submitting the evidence from employer to the employee, so in any case you need to have the documentary proof which can be demanded by the assessing officer. I think the above discussion takes care of most of your doubts about tax treatment of LTA / LTC claims. Finally, before leaving have another look at Funny thoughts about LTA Claims. Very useful article once again. Keep up the good work Fisher. I have claimed (Rs 20,000) LTA in 2010-11 year?Can I again claim this year (2011-12) also? Or Do I need to wait for another year (2012-13)?Because you explained that 2 times in a block,Can I avail it in consecutive years? Yes you can claim it in consecutive years or if need be you can claim 2 travels in a single year also which would exhaust your quota of 2 travel's claim in a block of 4 years. Hi Fisher, I have a question. Can we use our personal vehicle in claiming LTA? I have one more question. My wife and kid travelled to home town 1 week ahead and i joined them after a week. however while returning we 3 came back together. I am eligbile for LTA and TAX exemption.? My LTA per year is 50K. I have read in other website that foreign travel is also reimbursed as part of LTA. Is it really the case? Also i hear that if i take travel packages from tourism or tour operators, air fare, boarding & lodging etc are also reimbursed? It has to be availed within the first calendar year of the next block.In this sentence, how can we know the block as set by the government/company.Can we decide the block for us independently ? Should we avail tax free LTA within a block of two years, and should it be before/after the end of block. Can we decide the block of availing tax(two years/four years)independently and can we claim our LTA before or after the end of block. I traveleld in late March 2011...I want to claim LTA now(Feb 2012).The company's payroll department says that i cannot claim it in this financial year.Is it correct? I was on company tour (within India) , the company has paid expenditure(on travel , boarding &loding)according to my entitlement. But actual expenditure was more. what amount can i claim for deduction in Income tax & to what extent(%). I want to claim LTA for my dependent parents. Is it mandatory that parents need to travel with me? They have travelled to same destination a bit earlier by train and I travelled 2 days later by flight. On return, we came on same day but by different flights. Can I claim LTA in this case for my parents?